Amazing software. More drawing focused than other Photoshop alternatives. 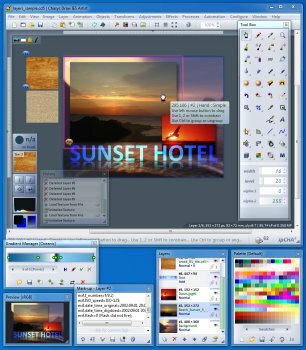 Finally a Photoshop plugins compatible freeware editor that doesn't use stupid .NET! It's great, fast, small. Lovely! Give it a try. All I get after unzipping is a file called "chasys_draw_ies" that doesn't seem to be an .exe file. EDIT= It would seem that the link here isn't working properly. I did download it from CNET and there I got the full install and extras.